If you are just after a couple of oils then feel free to visit my online shop to place a retail order however if you are like me and love saving money then a Wholesale account is for you. This is the way to get your oils at the best price (the same as what I pay). With a Wholesale membership you will save 25% off all your orders, can earn product credits on every order and earn free products each month just by participating in the Loyalty Rewards Program, and you even have the option to receive commission for sharing the oils with your friends and family. 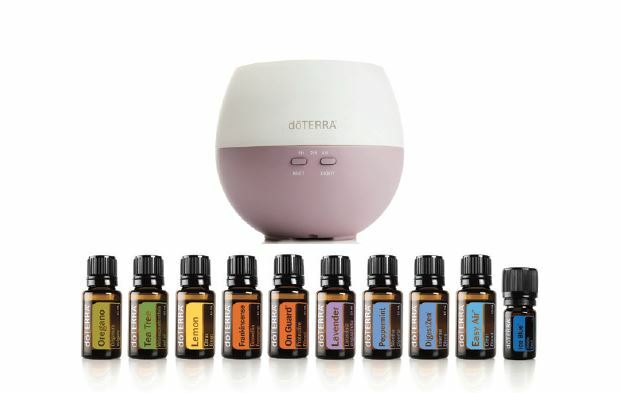 Choosing an enrolment kit is a great way to start, not only is the $35 wholesale joining fee waived but doTERRA have conveniently packaged together some of the most popular and commonly used oils. I have outlined some of the kits below but click enrolment-kits if you are interested in checking out the whole range of kits perfect for anyone from the mum using the oils to support her families health to the serious business builder. The Home Essentials Kit – $330 AUD (save $120). 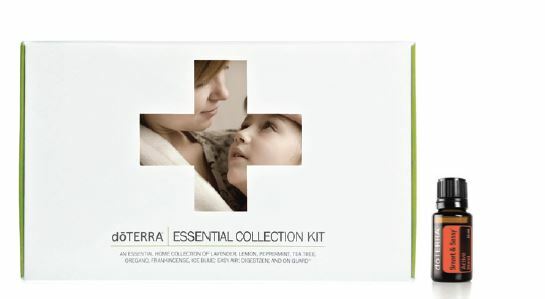 This is the kit I started with and typically recommend as its great value and comes with a diffuser. Includes 5ml bottles of: Lavender, Lemon, Peppermint, Tea Tree, Oregano, Frankincense, Ice Blue, Easy Air, DigestZen, On Guard and a 15ml bottle of Smart & Sassy (the Metabolic Blend). All new 100pv+ orders (this includes any of the kits) in November will receive 50 product points. This means that you get to shop for between $50 – $80 worth of the world’s best Essential Oils for FREE! Product points will be credited to your account early December. Step 1: Pop on over to my website and select your country. Step 3: Select ‘Local OTG order’ unless you specifically know that you want to place an international order. Step 4: Enter your personal information, including your ABN if you have one. Step 6: Choose an easy to remember password and then you’re ready to click on over to the next page. Step 7: Then choose what you’d like to order. You’ll see all of the enrolment kits up the top, but if you just want to order a couple of oils instead, start typing the name of the oil in the box and it will show you. Be sure to select the $35 introductory packet if you’re not enrolling with a kit. Joining with a kit waives the enrolment fee. If you want to start using your oils topically as soon as they arrive then you may want to add a Fractionated Coconut Oil ($16.50 wholesale) to your order. Enter your payment details and process your order. And finally when everything goes through, it’ll ask you whether you want to set up your Loyal Rewards Program. If you want to take advantage of this great program, then click YES. Select a date preferably within the first half of the next month, then go ahead and add a few things to the cart that you think you might need or want. Please note: your credit card will NOT be processed until the date that you decide to ship and you can update your next month’s order before it processes. Once you have placed your order, I will be in contact to offer support and answer questions that you have about using the oils or sharing the oils with others.